In today’s rumor rundown, there is news that the Columbus Blue Jackets have grown annoyed by their netminder, while the Boston Bruins would be interested in trading one of their goalies. 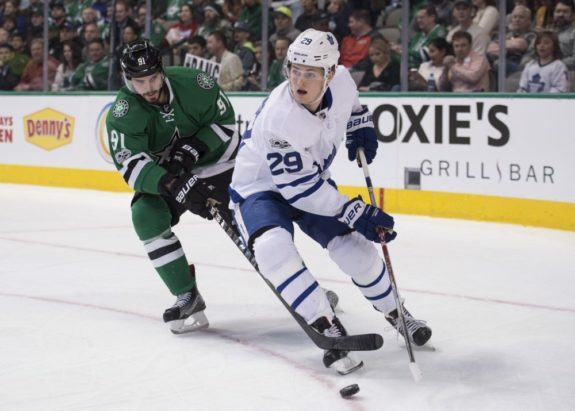 A Red Wing who is hot right now knows he could be traded this season and one team has made it clear they are “all in” on William Nylander from the Toronto Maple Leafs. Elliotte Friedman was on Sportsnet 960 and mentioned that the Columbus Blue Jackets have grown extremely tired of Sergei Bobrovsky and his behavior. 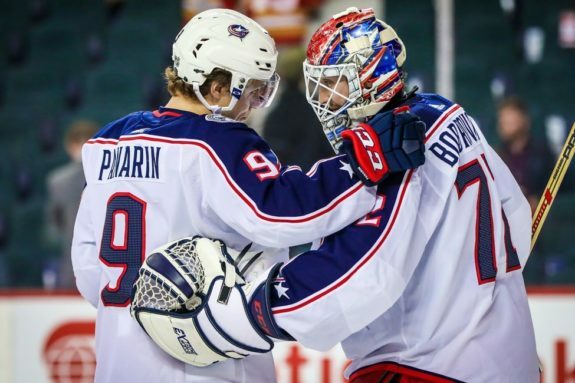 That frustration dates back to the offseason when Bobrovsky blew off a meeting with GM Jarmo Kekalainen and Artemi Panarin to talk about the upcoming season. Apparently, Bobrovsky had heard comments about him over the past couple of seasons and didn’t like what he’d heard. The team was frustrated with his lack of focus and attitude and while the Blue Jackets want him to stay, are realizing, it’s not likely to happen and got the signs at that time. There is speculation Bobrovsky has provided the team with a list of trade destinations and the consensus is he’ll wind up with the New York Islanders, although it’s not certain if the Islanders are on Bobrovsky’s list. The Carolina Hurricanes have made it known they are in on William Nylander if the Maple Leafs ultimately decide to trade him prior to December 1, 2018. “When the time does come — if the time does come that Toronto decides they are going to deal — Carolina has made it very clear that they are all in,” said Elliotte Friedman on the Headlines segment of Hockey Night in Canada on Saturday. Carolina has been rumored to always be interested in Nylander, but with a deadline of December 1 coming up quickly, the Hurricanes are making sure Toronto knows they want to talk trade when the Maple Leafs are ready to deal. The longer Toronto waits, likely the weaker their position in the trade so it’s wise the Hurricanes start subtle negotiations now. 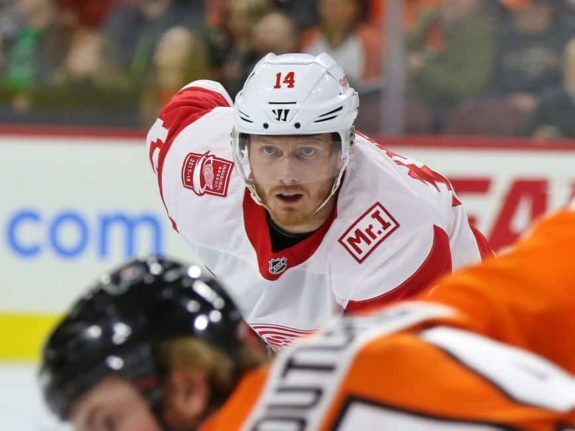 Most expect the Red Wings to be sellers between now and the trade deadline and winger Gustav Nyquist does too and knows his name will come up. He spoke with Helene St. James of the Detroit Free Press and noted he expects to hear his name often in trade rumors compared to previous years. Nyquist is off to a strong start with 12 points in 14 games and that’s sure to boost his value around the league. The Red Wings would be served well to trade him while he’s hot and maximize their return. He’s bound to receive a hefty raise over the $4.75MM per season he’s making now if he continues on this pace. 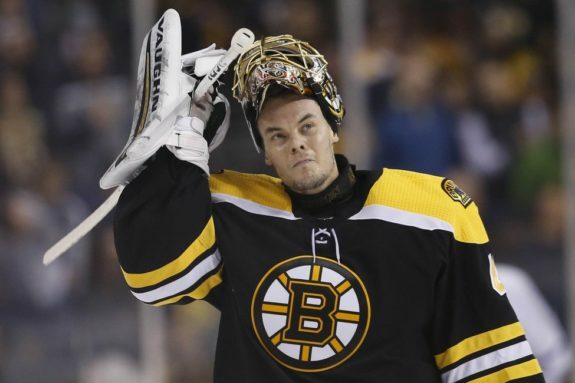 NBC Sports Joe Hagerty writes that the Boston Bruins would like to look at a trade involving Tuukka Rask but it would be next to impossible to trade him for a few reasons. First, Rask has been outplayed by backup and free agent Jaroslav Halak so far this season, Second, his contract ($7MM AAV for two more years after this one), is not something teams would be anxious to take on. The Bruins would have to eat a large chunk of his salary to make that move work. Finally, Rask has a no-trade clause which could prevent Boston from moving him since it is believed the goaltender would not waive it.